Bangladesh has one of the highest rates of child and maternal malnutrition in the world, say health experts. According to the State of the World's Children (SOWC) Report 2008, issued by the UN Children's Fund (UNICEF), eight million or 48 percent of all children under-five are underweight. Millions of children and women suffer from one or more forms of malnutrition, including low birth weight, stunting, underweight, Vitamin A deficiency, iodine deficiency disorders and anaemia. Malnutrition passes from one generation to the next because malnourished mothers give birth to malnourished infants. If they are girls, these children often become malnourished mothers themselves, and the vicious cycle continues. Malnutrition contributes to about half of all child deaths, often by weakening immunity. Survivors are left vulnerable to illness, stunted or intellectually impaired. Newborn deaths make up nearly half of all under-five deaths (57 percent) and 71 percent of infant mortality. One neonate dies in Bangladesh every three to four minutes; 120,000 neonates die every year, according to UNICEF. However, Bangladesh is on track to achieve several Millennium Development Goals (MDGs), including reducing by 2015 the under-five mortality rate to 50 per 1,000 live births from 65, the UNICEF report claims. 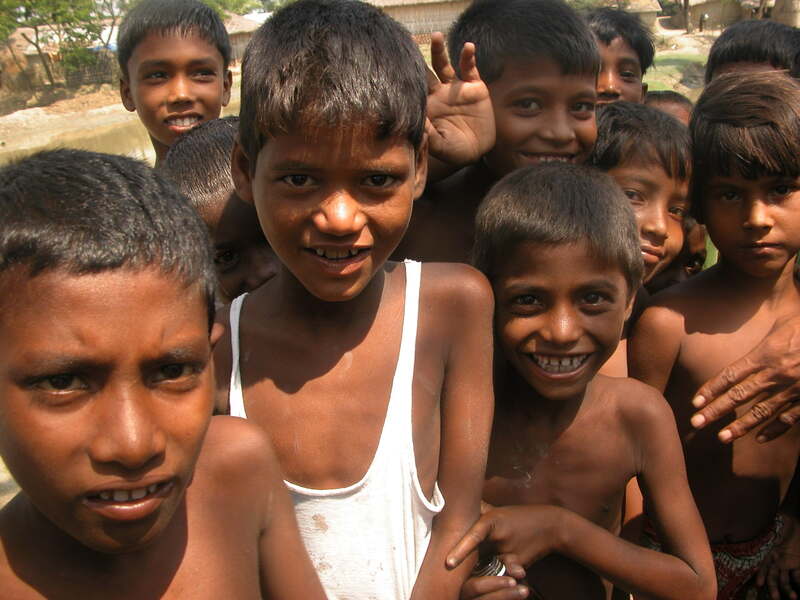 Matching achievements of only five other countries, Bangladesh has halved the child mortality rate since 1990. "Bangladesh has made good progress in the past decade towards achieving MDG-1, the eradication of extreme poverty and hunger," the UNICEF report said. Between 1996 and 2005, the prevalence of underweight children fell from 56 to 45 percent, while stunting fell from 55 to 40 percent. "If we can keep the price of essentials within the reach of the common people, we will be able to achieve the MDG goals of child survival and maternal health," said AKM Zafarullah, secretary of the Ministry of Health. Abdul Faiz, director-general of health services, is confident Bangladesh will achieve the MDG-5 of reducing maternal mortality to 147 per 100,000 live births by 2015 from the present official rate of 320 per 100,000. According to Christine Jaulmes, chief of communication and information of UNICEF Bangladesh, achieving the MDG would mean about 30 million children and two million mothers would be saved by 2015. "But, as urban slums, the Chittagong Hill Tracts, coastal regions and other ecologically vulnerable areas are falling behind, their distinct problems need to be addressed carefully," Faiz added. Natural disasters compound malnutrition, which is often considered a "silent emergency", even in normal times, stated UNICEF. Every five to 10 years there is a major disaster that causes widespread damage, wiping out crops, houses, safe water sources, livelihoods and wreaking havoc on nutrition. "Although the situation is improving in some sectors, the overall situation is quite serious and therefore not acceptable," said Mohammad Mohsin Ali, a UNICEF nutrition specialist. "The protein energy deficiency (PED) which is expressed through underweight, stunting and retarded physical growth of children, is still unacceptably high," he added. "Iodine and vitamin-A supplementation are showing very positive outcomes, but iron deficiency anaemia among children and women is very high. Nearly 85 percent of children under one year of age and almost 50 percent of pregnant women suffer from iron deficiency anaemia. This needs to be addressed." "A national strategy for anaemia prevention and control has also been put in place. Both strategies aim at preventing and controlling the issues of malnutrition of children and mothers," Mohsin said. According to the Multiple Indicator Cluster Survey (MICS) 2006, more than 89 percent of children aged nine to 59 months have been given Vitamin-A supplements, saving more than 30,000 children each year. Eighty-four percent of all edible salt in Bangladesh is now iodised, helping reduce the toll of iodine deficiency disorders. The prevalence of goitres in school-children has fallen from 50 to 6 percent in the past decade because of salt iodisation. Community Nutrition Promoters (CNPs) work in 24,000 community nutrition centres throughout the country providing information, advice and counselling to improve the nutritional status of children, adolescent girls and women. Seventy-five percent of all under-fives were fully immunised against all preventable childhood diseases in 2007, up from 64 percent in 2005. Immunisation has helped to prevent infectious diseases that cause malnutrition.